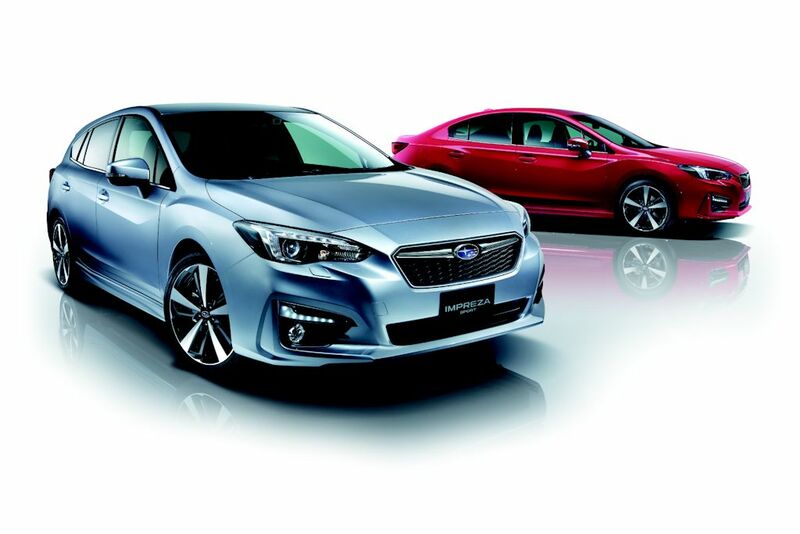 The Japanese press has spoken and they have awarded the 2017 Subaru Impreza as their 2016-2017 Car of the Year. With a juror composed of 59 members of the press, the Impreza becomes only the second Subaru model bestowed with the title (the Subaru Legacy being the first in 2003). The Impreza’s win is surprising to say the least since it beat out the favorite: the all-new Prius by 49 votes (the Impreza had 420 votes). The all-new Audi A4 had 149 votes and won the Import Car of the Year followed closely by the all-new Volvo XC90. Passenger cars officially announced or launched in Japan between November 1, 2015, and October 31, 2016, with projected sales of at least 500 units are eligible to be awarded Car of the Year. In addition to the Car of the Year Japan and Import Car of the Year prizes, awards are granted only in three other categories: Innovation, Emotional, and Smart Mobility. Developed at a cost of around US$ 1 billion, the all-new Impreza is the first vehicle underpinned by the Subaru Global Platform. Aiming to offer driver “enjoyment and peace of mind”, the Subaru Global Platform is designed to provide improved driving dynamics and quality. It also has better all-around safety which Subaru says will enable their vehicles to be segment leaders in terms of safety at least until 2025. Since its launch in Japan, the all-new Impreza has had very strong sales, beating company estimates fourfold (it sells more than 11,050 units per month). And according to Subaru, 51 percent of Impreza buyers are new to the brand. This means it’s successful in attracting an ever-wider range of customers. In the Philippines, the all-new Subaru Impreza is expected to be launched at the Manila International Auto Show (MIAS) 2017 in April. This just proves that the Japanese have better judgment. For the life of me, I can't imagine how the ugly and unimpressive Civic won Car of the Year in the PH. It's not even top 5 material. When will the 2017 Subaru Impreza arrive here? It's too late though, already ordered a Mazda 3 R, which I really liked. The quality and design just trumps the Civic especially the interior. Listened to the mazda fanboy and I was blown away when I test drove the Mazda 3. I might hold my order if the Impreza would arrive sooner. It's in the story, Dan. "In the Philippines, the all-new Subaru Impreza is expected to be launched at the Manila International Auto Show (MIAS) 2017 in April." I guess you should read, apart from listening to fanboys.